I admit to not being an expert on these paperweights. I found 2 of them in all my years of roaming around. Once you see one you will know what they are. Based on my reading the Miller Glass book says they were made somewhere in the 1900-1920 range. 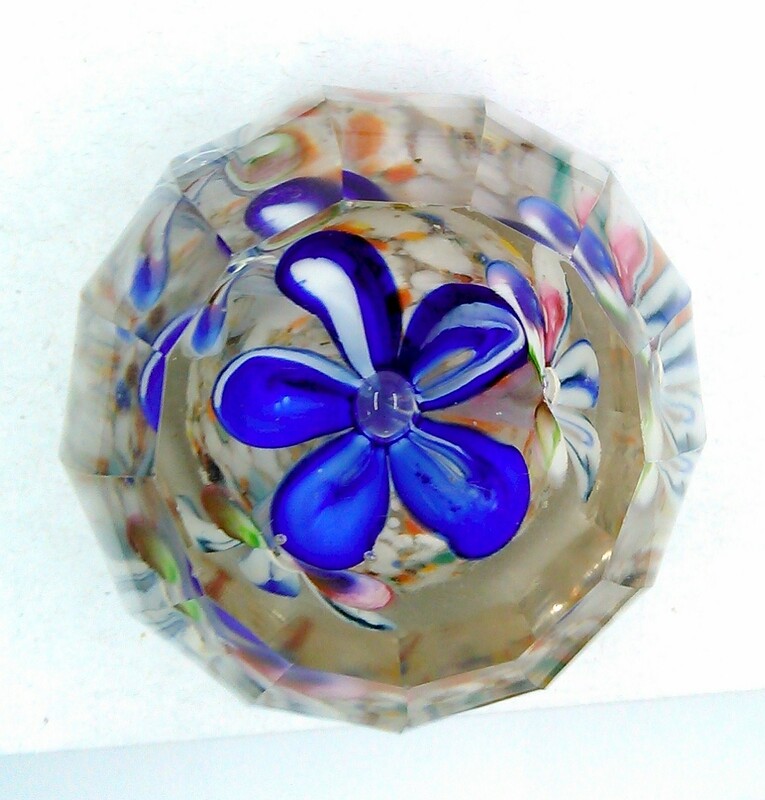 This Particular paperweight has a blue ice pick flower in the middle and then 3 white/multicolor flowers around that. They re sitting on mainly white frit with orange, blue and yellow flecks. 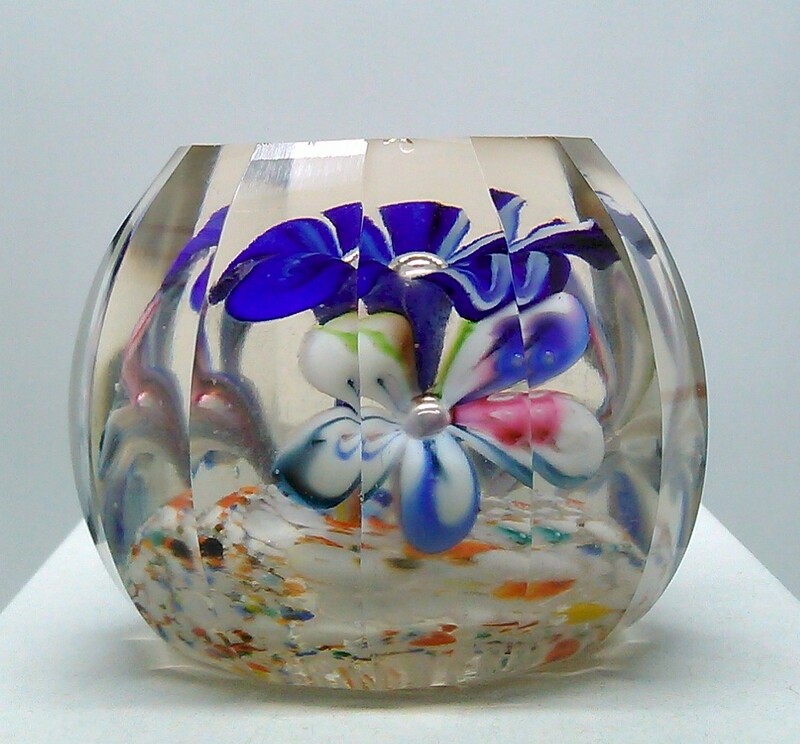 The paperweight has been faceted with 19 sides. 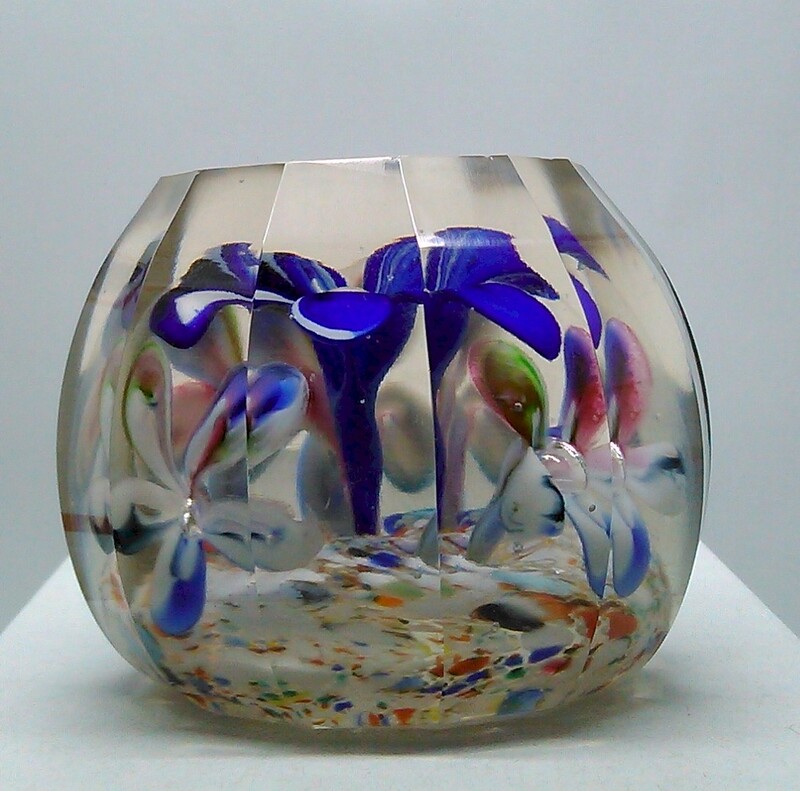 The top and bottom are highly polished with the top having a slight concave slope to it. Size measures 2.4 inches tall. 3 inches across. In terms of condition is is really good for it's age. The only thing I see on very close examination is a couple of very small chips on the sharp edge of the top. These are very minor and really as expected. 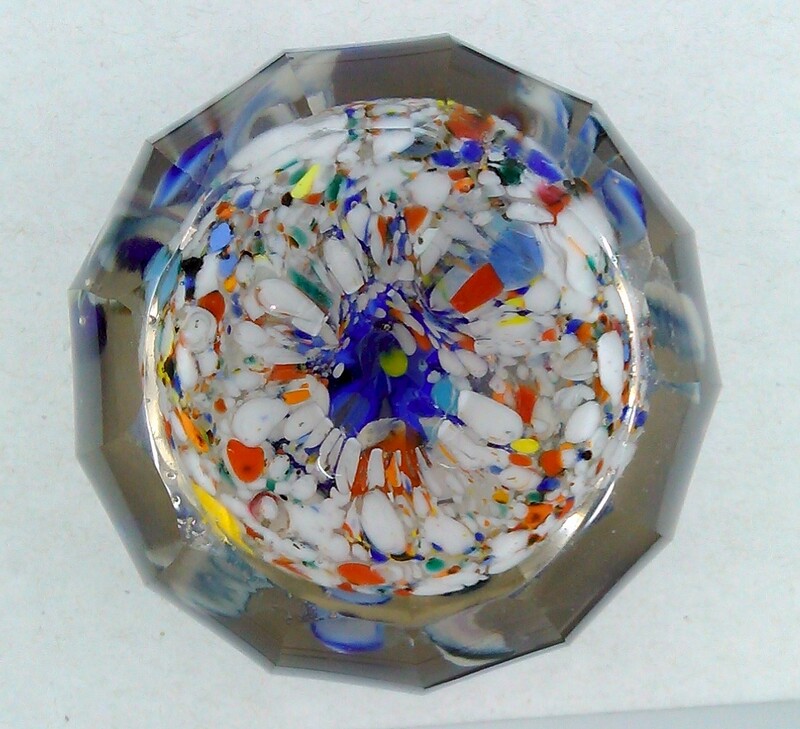 I am rating this as excellent condition for a 100 year old paperweight. You will not be disappointed. This has sat prominently on a shelf in my living room for many years.